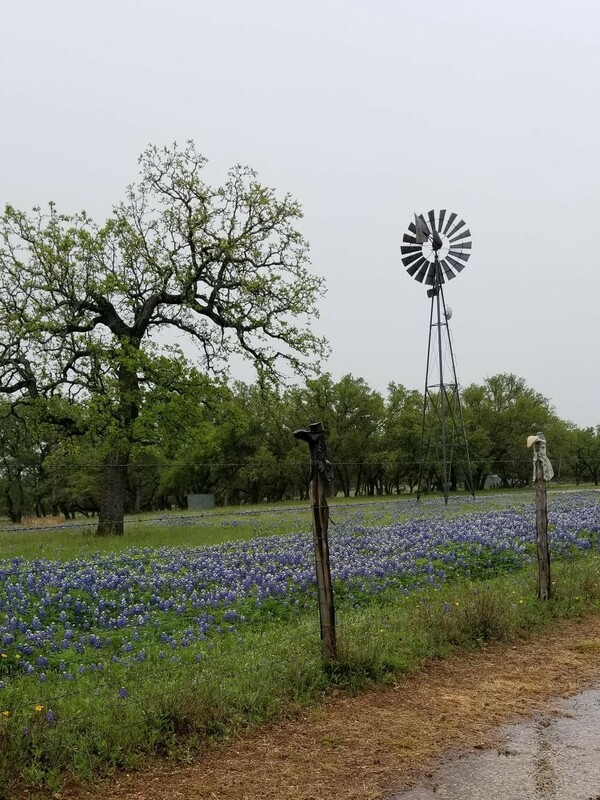 Submitted by DJ de Jesus on Sun, 2019-04-14 12:48. 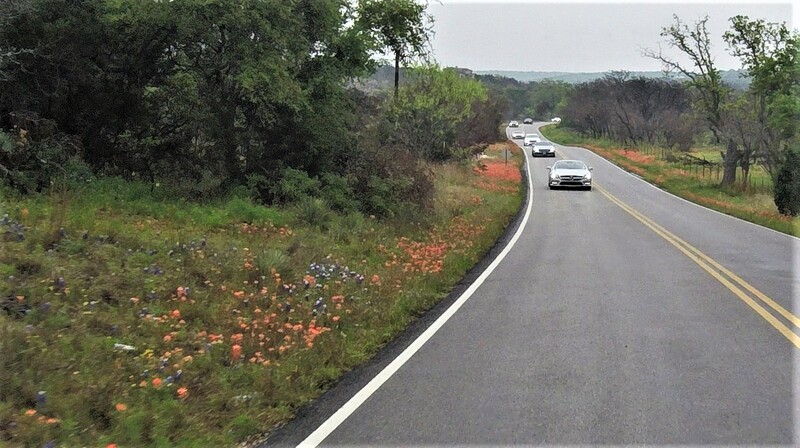 Storms were in the forecast, but that didn’t stop the thirteenth edition of our Hill Country Run, which was sold out the same day it was announced. 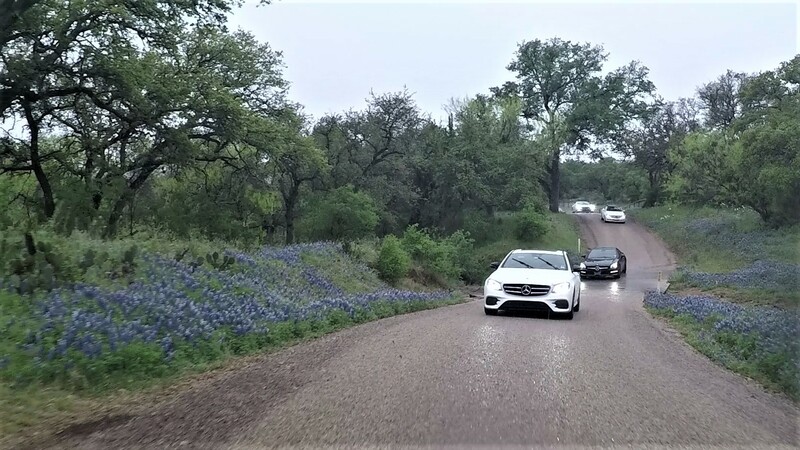 Thirty-six members in 19 cars from Fort Worth, Lone Star, North Texas and Texas Hill Country sections attended this overnight event in the Kingsland, Burnet and Marble Falls areas. On Saturday we made our way south into the teeth of a thunderstorm. Right on schedule, Fort Worth and North Texas members linked up with attendees from Lone Star and Hill Country sections for lunch at the Grand Central Cafe, which is the Texas Chainsaw Massacre house used in the 1970s movie. The house was moved from Round Rock to Kingsland and restored as a restaurant. One of the cooks dressed up as Leatherface and joined us for a group photo with his chainsaw. 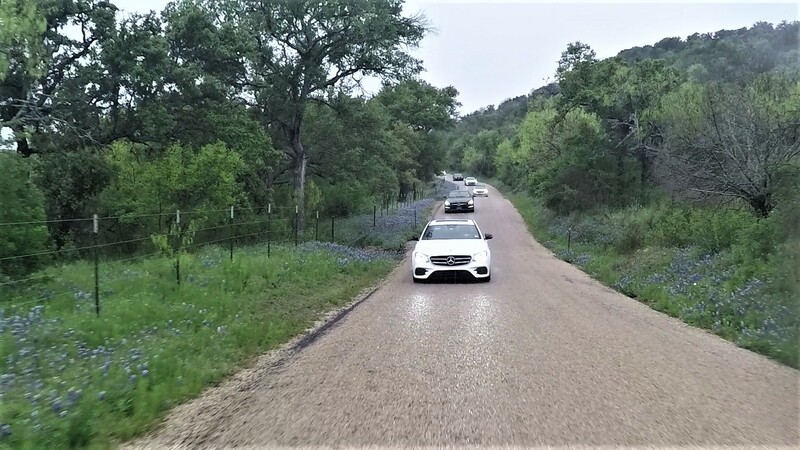 After lunch, we caravanned to Burnet on scenic roads and enjoyed wine-tasting and gorgeous views of the Hill Country at the Torr Na Lochs Vineyard and Winery. Then we proceeded to the Hampton Inn at Marble Falls to check in. Dinner was at the River City Grill, also in Marble Falls, just beside the hotel. After dinner, we walked back to the hotel to play our world-famous In-Between card game at the hotel's meeting room. 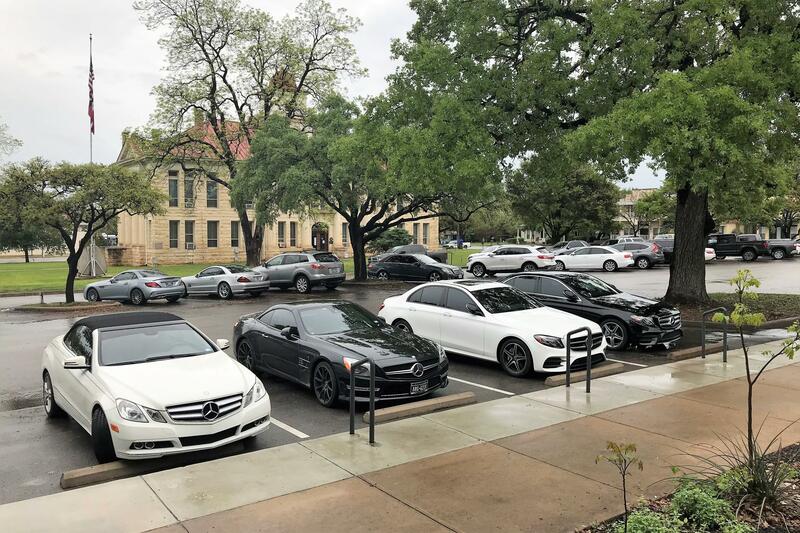 The winners were:1st: Myra Smith (Lone Star) - Mercedes-Benz watch.2nd: Pat Lawson (Lone Star) - Mercedes-Benz cooler bag.3rd: Tom Clayton (Fort Worth) - Mercedes-Benz Classic Wackeldackel nodding dog. After the game, Pat Lawson ran his version of the Indian Poker card game. Joyce Melugin (Lone Star) deprived Pat of his cooler bag. The rest of the evening was spent catching up with old friends and making new ones - the camaraderie made even more enjoyable with drinks and snacks provided by the Lone Star Section. After all that, some hardy souls had more drinks at Chili's, which was also beside the hotel. 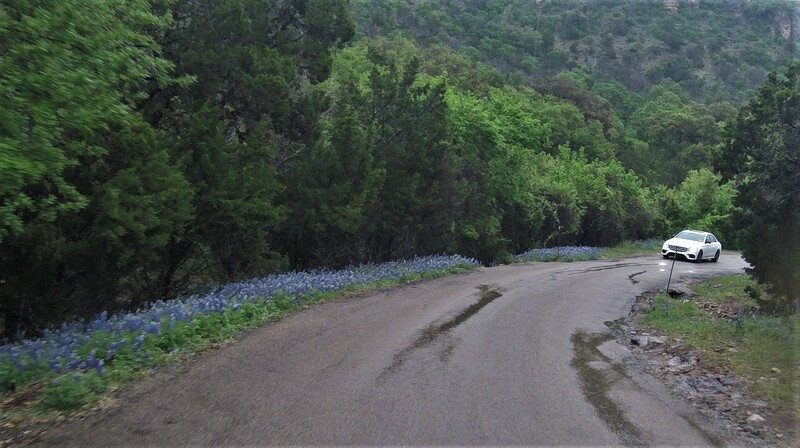 On Sunday, we enjoyed a great scenic drive on the Willow City Loop. 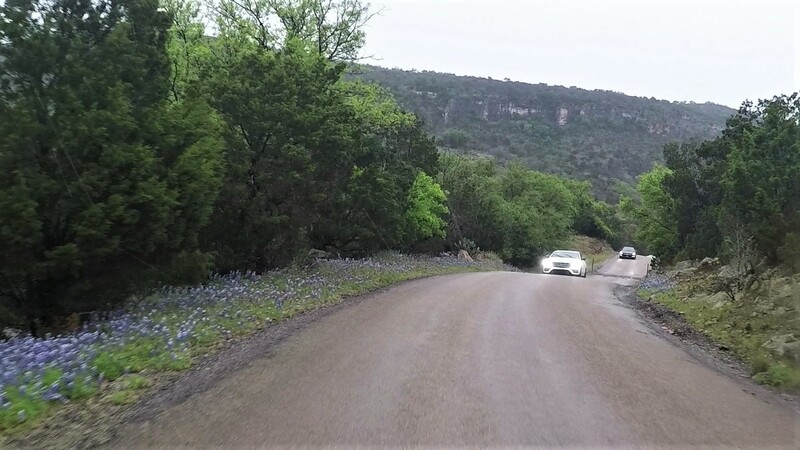 We saw spectacular blooms of Texas Bluebonnets and other wildflowers throughout our drive, a benefit of the wet weather. After our scenic drive, we proceeded to Johnson City for an optional lunch and local brews at Pecan Street Brewing. After lunch, we said our goodbyes and made our way home on our own. 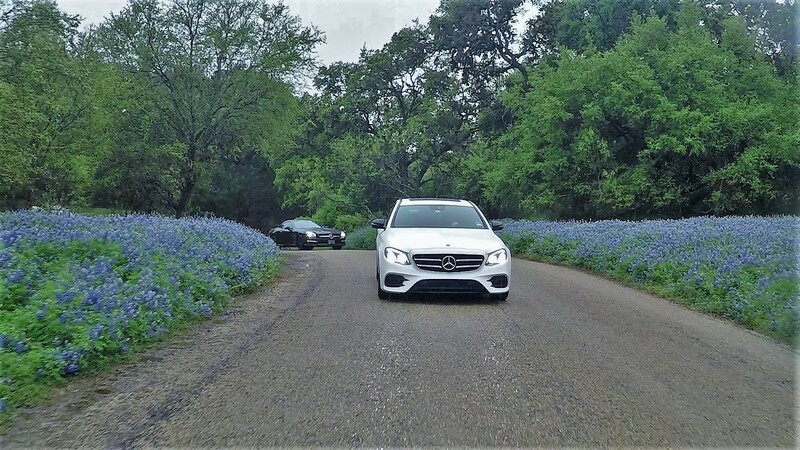 It was yet another fun and memorable Texas Hill Country Run.